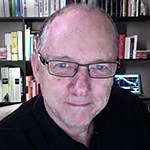 Alan Vertue is an accredited Foreign Exchange and Commodities Futures consultant, professional trader, educator, strategy developer and writer based in Sydney, Australia. The forexistentialist.com website was conceived and developed to help new traders make the transition from novice to professional as smooth and easy as possible. Embracing responsibility and independence forms the core philosophical base of the existentialist approach to trading. For over a decade, Alan has taught this important concept to literally hundreds of new traders from all corners of the globe. DISCLAIMER:- The information presented within this website should not be regarded as a solicitation or inducement to trade Forex. The information, products and services offered herein are provided as part of a training curriculum for those seeking to further their Forex education. Currency trading is highly speculative and neither the owners, nor their representatives, make any warranties or guarantees in respect to the correctness or validity of the content found herein. As such, traders making use of the information presented within this website do so at their own risk. This site is not intended to by used as the sole source of currency trading information or education. It is important and assumed that traders employ sound trading principles when using the information contained within this website. We advise all subscribers to, and purchasers of our products and services to utilise simulated trading accounts in order to test strategies and trading methodologies. Forex trading requires common sense, sound risk and money management and full personal ownership of all trading decisions. This disclaimer applies to all services, including (but not restricted to) PayPal, Google, Click Here, Yahoo, eBay, YouTube and Clickbank promotions placed on the website. Investors based in Asia, Australia, the United States, Canada, United Kingdom, Europe, the Middle East and Africa should take into account the legal requirements and restrictions of trading Forex in their region. Any advice included in this website or correspondence must be considered general advice only and is based solely on consideration of the trading merits of the financial products alone, without taking into account the investment objectives, financial situation or particular needs (i.e. financial circumstances) of any particular person. Before making an investment or trading decision based on the advice, the recipient should carefully consider its appropriateness in light of their financial circumstances and should carefully review the Product Disclosure Statement (or equivalent) of the relevant financial product as provided by their investment broker. Please note that past results are no guarantee of future performance.